Players at Betsafe are getting the royal treatment with this new campaign and the best part is that it will be repeated every week in June 2017. 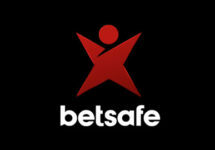 The Betsafe crew is selecting one slot as “Game of the Week” that will hold all the goodies. For starters players can wager on desktop and mobile to earn up to 1,350 Free /Big Spins and at the same time they can take part in a tournament where the TOP100 will win bonus cash and cool gadgets from the Gold, Silver and Bronze categories. This week the chosen game is the thrilling Jungle Spirit: Call of the Wild™ slot from Netent. Players can collect a total of 600 Free Spins (Free Spins + BIG Free Spins) on desktop and another 750 Free Spins (Free Spins + BIG Free Spins) on mobile on the Game of the Week during one promotional week (7 days). The Free Spins are claimed by opening the specified slot of the week. Wagering requirement is 35x FS winnings within three days. Players registered or residing in Canada, Ecuador, Nicaragua and Panama are not eligible for this promotion. This week’s tournament will end at 23:59 CET on 11th June 2017. Bonus prizes will be credited on 12th June 2017. The gadget prizes cannot be exchanged for cash. 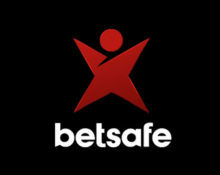 All gadget winners will be provided with a code via onsite message to use on the ‘Betsafe Prize Site’. Gold Tier Prize: Samsung Galaxy S7 32GB, Apple iPhone 6s 32GB, iPad Air 2 128GB – WIFI, Canon Powershot G1 X Mark II, Sony HT-NT5 Hi-Fi Sound Bar, Optoma ML750e Portable Projector. Silver Tier Prize: 38mm Apple Watch Nike+, iPad Air 2 32GB – WiFi, GoPro Hero 5 Black Edition, Kindle Oasis E-reader, PS4 Slim Black 1TB + BATTLEFIELD 1, PS4 Slim Black 1TB + FIFA17, Tiffany Heart Tag Toggle Bracelet, Acer Extensa 2511 15.6″” Laptop.